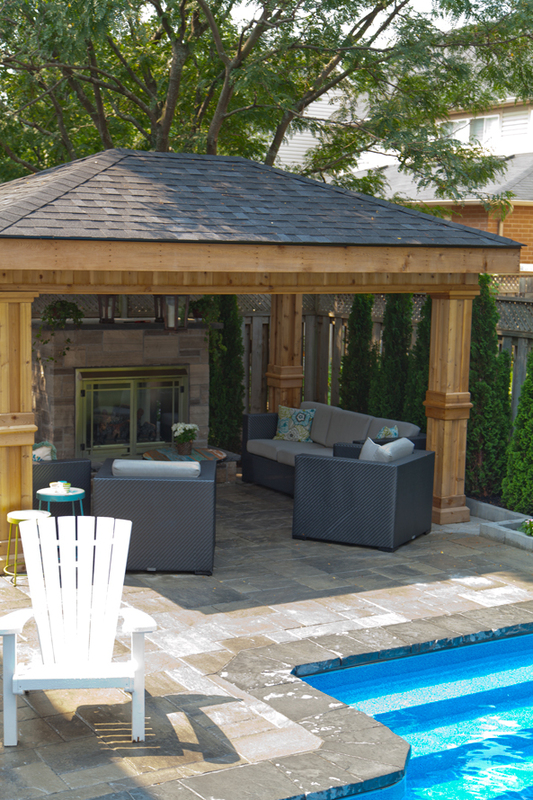 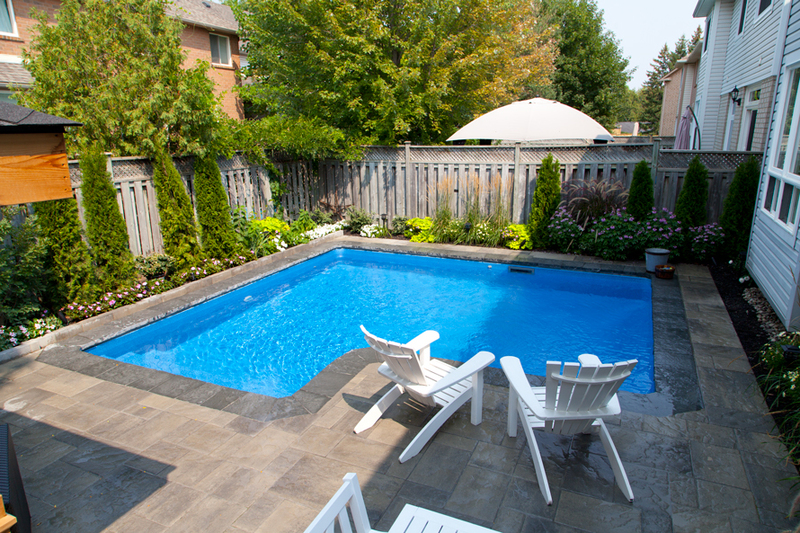 The Days Inground Pool is the perfect example of how a smaller backyard can appear much larger and more inviting with the right shape and style. 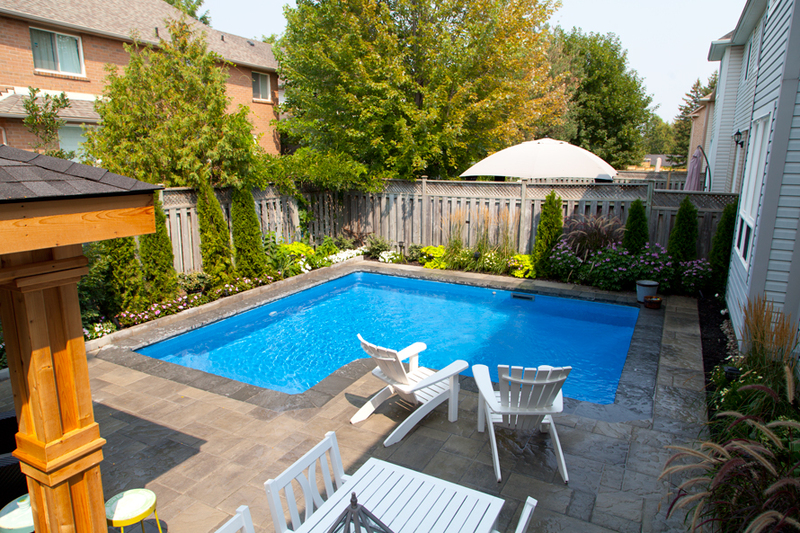 By making use of this backyards corner, the area remains spacious and welcomes outdoor entertaining. 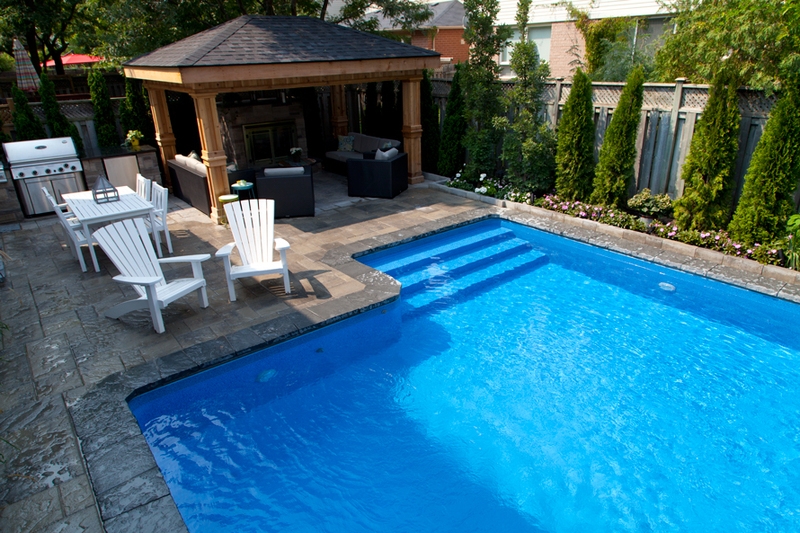 The interior vinyl over steel steps preserve the space around the pool deck so there is still plenty of room for hosting friends and family. 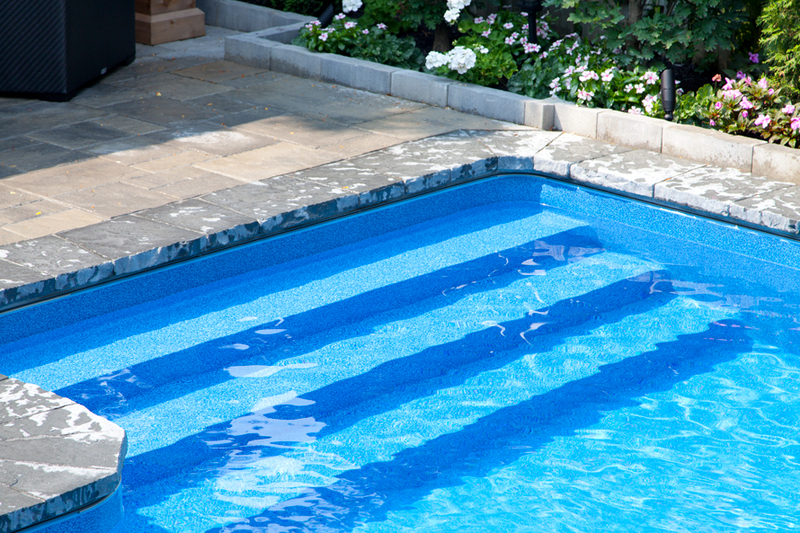 The inviting Full Blue Granite liner brings a refreshing atmosphere to the area that is paired perfectly with the stone trim that surrounds the pools edge. 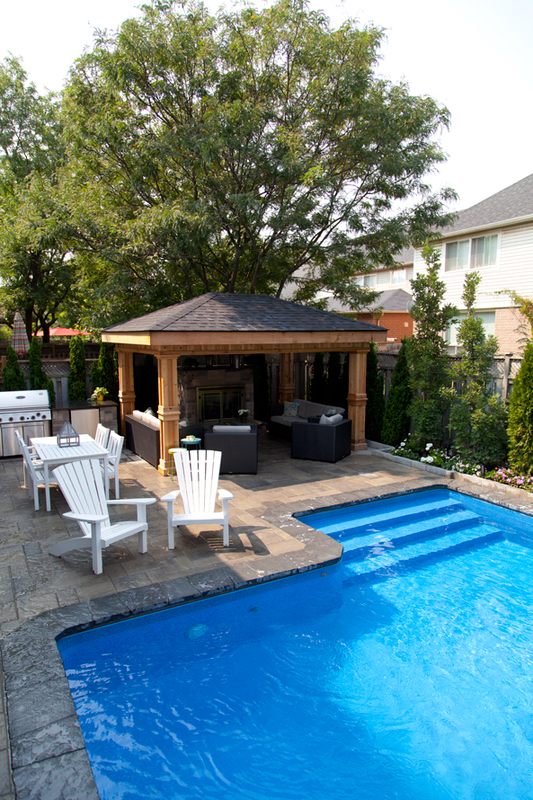 The poolside cabana provides a space to sit back and relax once your done floating the afternoon away in this luxurious retreat.